The Model HD652-IND15-A30-B057 shown below is typical and representative of the HD652 Models. For more information on specifying a holding fixture, see the 600 SERIES OPTIONS page and 600 SERIES CREATING A MODEL NUMBER pdf. The maximum distance between mounting interfaces is directly related to the main beam length. Specify the distance between mounting interfaces to be at or slightly larger than the length of the part-to-be-handled. The fixture can be adjusted to accommodate smaller length parts, however, the main beam(s) extending from each end frame may be inconvenient. For more information see the 600 SERIES OPTIONS page and 600 SERIES CREATING A MODEL NUMBER pdf. Addition of the optional SR or DR gearbox decreases the vertical riser adjustment from 12″ to 10″ and increases the minimum trunnion height from 43.5″ and 45.5″. 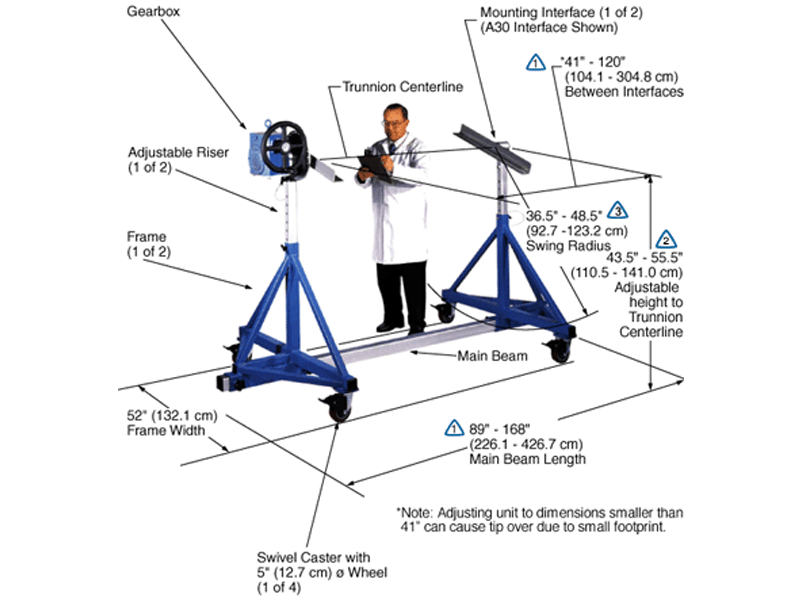 A smaller than standard swing radius may be recommended for some applications. 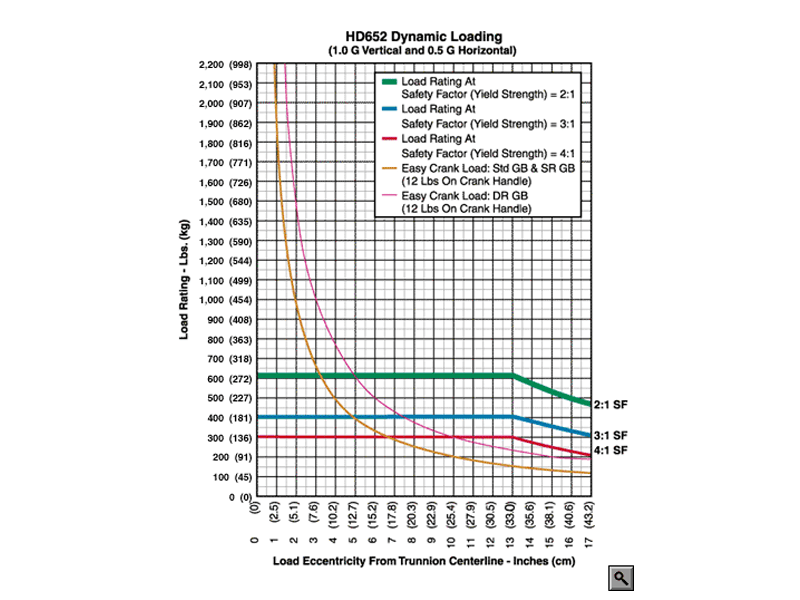 See the “Technical Section” under “Holding Fixture Safety” on page 3 of 7 concerning “Unexpected Accident Loads” and the chart on page 4 of 7 referring to “Maximum Recommended Swing Radius”* Note: Adjusting unit to dimensions smaller than 41” can cause tip over due to small footprint.